Bronchitis is a condition that occurs when the bronchial tubes (the tubes that lead into and out of the lungs) become inflamed or irritated. Symptoms include a dry or phlegmy cough, wheezing, chest pain, fatigue, aching muscles, fever and chills. 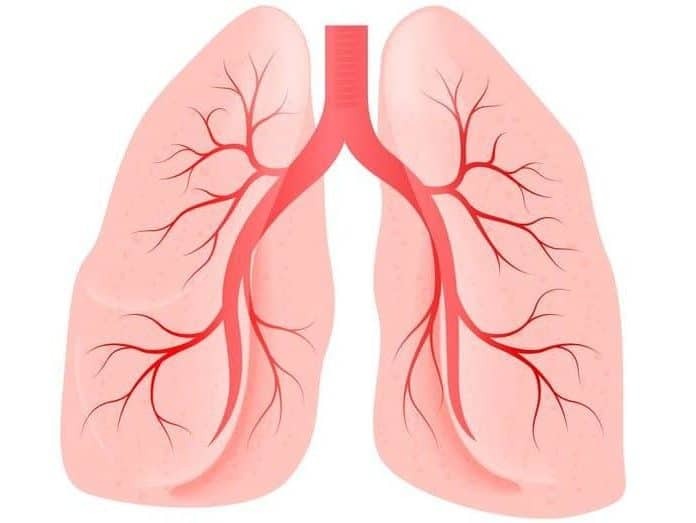 There are two types of bronchitis: acute, which can come about as the result of a cold or flu and can last for weeks, and chronic, which can last for much longer and occurs if an earlier viral condition, such as influenza, fails to clear up. Generally, bronchitis is caused by contagions, but can also be brought on by environmental factors such as pollution and cigarette smoke. It can travel through air particles, so if you are diagnosed with bronchitis it’s important to undertake proper hygiene practices like hand-washing, covering your mouth when coughing, and bed rest to avoid spreading of the virus. Bronchitis can affect anyone, but children, the elderly, and those with weakened immune systems are at higher risk. There are many different over-the-counter medicines to take for bronchitis, however, you may find something to treat your symptoms at home in your pantry. Ginger has long been used in alternative medicines to treat varying issues from Irritable Bowel Syndrome (IBS) to morning sickness. It’s an ancient Ayurveda ingredient used to help boost the immune system and relieve symptoms of bronchitis like sore throat, tight chest and dry cough. Ginger is the root taken from the Zingiber officinale, a flowering plant that originated in China. It’s loaded with many nutrients and bioactive compounds that make it a powerful tonic that benefits both the brain and the body. You can use it fresh, dried or powdered and in varying forms. Many of its benefits come from the compound gingerol, which gives it that distinctive taste and scent. It’s this compound that’s responsible for many of gingers medicinal properties. When treating cold and flu symptoms, it’s best to use fresh ginger. The average daily dosage for an adult can range from 250 to 4000 mg, and there are many different ways to ingest it. For a sore throat, shred 2 tbsp. of fresh ginger and steep in hot water for a soothing tea drink. For a congested nose and aching chest, sprinkle raw ginger into hot water and inhale for a nice, chest-clearing aromatherapy hit.